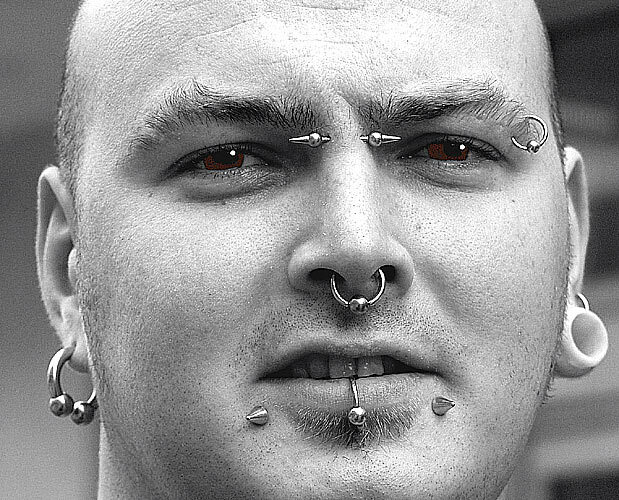 Max zoom small fill flash: This young man was pleased to let me take his facial piercing. I think he was quite proud of the statement he was trying to make; it is beyond me why someone would mutilate his face in this way! A great e well strong picture. Technical perfect. Very good photograph. Congratulations, John Weeks. Ouch!! Some people call this `body enhancement` and actually this is a practice that has been done throughout the ages by many different nationalities. I guess beauty is really in the eye of the beholder. Very good. Lovely work in the eyes.